OpenDaylight is the most widely deployed open source SDN controller platform and in just 6 years, OpenDaylight boasts 10 releases, 1000+ authors/submitters, 100K+ commits, and powers networks of 1B+ global subscribers. Neon is the 10th OpenDaylight release – a milestone that demonstrates the community’s unwavering commitment to building an open, scalable and interoperable networking solution and resulting ecosystem of developers, integrators, and users. Download the Neon release and get started today. With this release, OpenDaylight enhances its deep engagement with other related open source projects such as OpenStack, Kubernetes (k8s), OPNFV, and ONAP. Further, Neon release will form a solid base for the new ONAP SDN Controller for Radio (SDN-R) project aimed at the 5G use case is also based on OpenDaylight. The OpenDaylight community has also started early collaboration with the Network Service Mesh (NSM) project that is using a novel approach to solve complicated L2/L3 use cases in Kubernetes. Optical Transport Infrastructure Control. The TransportPCE application in Neon offers new features to enhance interoperability, greater degree of configuration & control, dynamic traffic engineering and faster deployments.. The important feature additions include support for open northbound API, optical signal to noise ratio (OSNR), Open ROADM v 2.2 device versions, optimized service path models, API for service reroute, restoration and more. WAN Connectivity via BGP CEP. The BGP CEP function in Neon comes with a few important enhancements for improved network availability, stability and configuration, and control. The notable new features are BGP Graceful Restart, Persistence, P2MP Traffic Engineering Label Switched Paths support and improved error handling. Cloud/Edge Network Virtualization. The Neon release inherits a rich set of network virtualization (through the NetVirt project) features from the Fluorine release and makes a number of key improvements. The network virtualization function in Neon release offers improved stability and reliability and better container orchestration. The Neon NetVirt function contains improvements in transaction handling patterns, exception handling, integration test scope and reliability and, functional and memory related bug fixes. The Neon Container Orchestration Engine (COE) supports kubeproxy iptables mode for enforcing packet forwarding policies, Kubernetes v1.13.2, and improved integration with NetVirt function, along with improved testing. This release also includes important stability and scalability improvements in areas such as network virtualization, configuration, and routing that are useful for end users. Finally, this release continues to extend OpenDaylight’s tradition of tight collaborating with other open source communities including OpenStack, Kubernetes, OPNFV, and ONAP. 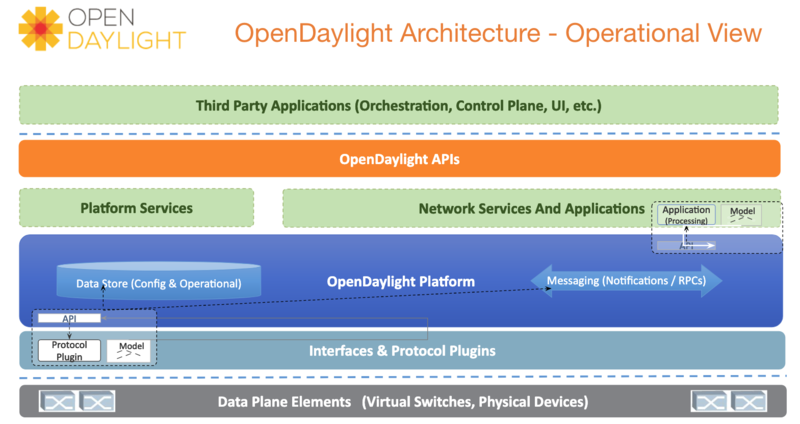 The ONAP community is using OpenDaylight in two of its projects (APP-C and SDN-C) and is in the process of using it for a additional new project (SDN-R) to cover advanced use cases such as Cross Domain Cross Layer VPN (CCVPN) and 5G. Over these ten successful releases, the OpenDaylight community continues to enhance the platform for at-scale production deployments in both enterprise and service provider markets. Download the Neon release and get started today. This evolution will continue with the next ODL release (“Sodium”) later this year.